The CW has revealed its official title and synopsis for The 100 season three finale. The sixteenth episode will air May 16th. PART TWO OF THE SEASON FINALE — In the season’s epic and mind-bending conclusion, our heroes begin to face the reality of their tragic situation. Everyone prepares for a final showdown. Eliza Taylor, Paige Turco, Isaiah Washington, Henry Ian Cusick, Bob Morley, Marie Avgeropoulos, Lindsey Morgan, Devon Bostick, Christopher Larkin and Richard Harmon also star. Dean White directed the episode written by Jason Rothenberg (#316). Original airdate 5/19/2016. Are you excited about the season three finale? 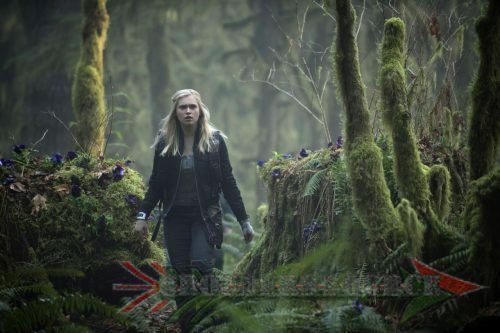 Follow Grounders Source on Twitter, and like at Facebook.com/grounderssource. You can also leave a comment below. To Support Us, Drop By Our Patreon! Evelyn Ulrich is the owner and chief publisher of Grounders Source. She is an odd little character, who loves nerdy and cute things.